Fast charging and Last Battery:This bluetooth smartwatch has built-in 70mAh Polymer lithium battery to gurantee long working service.Additional USB cable can offer fast charging period with longer standby time. Real-time call reminder:This smart bracelet is always ready to remind every calling with vibiration and mobile caller ID displayer. Free hands display recorder: Built-in motion sensor,a slight rotation of the wrist can reboot the screen automatically.You also can find the detailed movement data in the past 7 days,all these data can be synchronized and analyzed on your smartphones. Frequency heart rate monitor:This smartwrist comes with optical heart rate sensor and update the data every five minutes to get the latest data with autonomous motion planning. 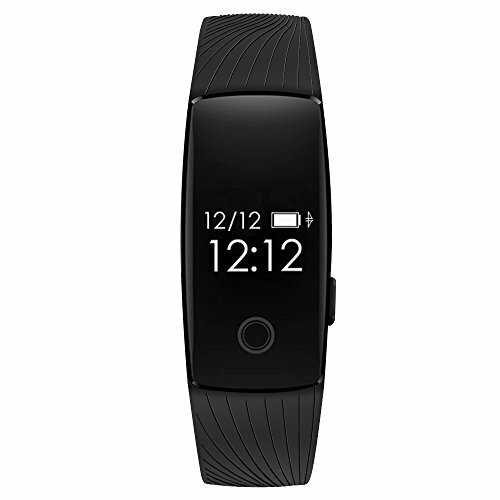 Broad compatibility of functions:Heart rate monitor,pedometer,calorie burning,distance,sleep tracker,call reminder,alarm clcok,anti-lost,remote control camera,etc. If you have any questions about this product by Dotca, contact us by completing and submitting the form below. If you are looking for a specif part number, please include it with your message.